Studying abroad in college is a great experience for many. Avoid some common study abroad challenges by following these suggestions. 1. Be prepared for sticker shock on items overseas that you might regularly buy at home. 2. Out of respect for your host country (and your safety), try to adapt to the local standards of clothing and behavior. 3. Use common sense. Don’t travel alone at night and don’t carry a ton of cash. 4. Immerse yourself in the culture and go outside your comfort zone. You will learn more and get more out of your experience. 5. Be prepared to try new foods and eat at different times than you’re used to. Don’t just run to the nearest McDonald’s! 6. Your blow dryer or electric razor won’t work without an adaptor, so just plan to buy one in your host country. 7. Use public transportation. You’ll feel amazing once you can navigate the system. 8. You will learn how to adapt very quickly in even the most awkward situations. 9. 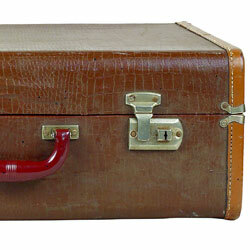 Keep your passports, visas, jewelry and other valuables in a safe place. And leave your heirloom ring at home. 10. Load up on calling cards to keep in touch with your friends and family without a surprise phone bill.